When you're visiting more than one retirement community, we know that all the details can begin to run together. We've created a handy checklist for you to gather your thoughts in one place, and to help you make the right decision for you and your family. 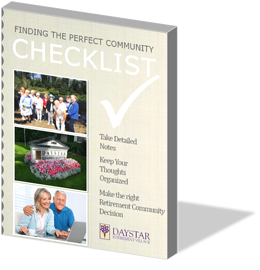 Fill out the form to gain instant access to this must have checklist!